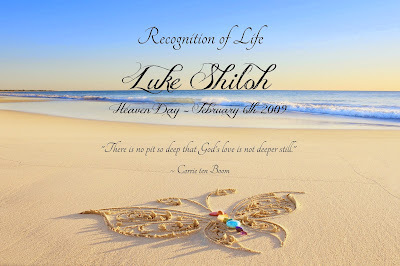 When I went back to the Planned Parenthood to get my records from the abortion I had at 6-weeks as a terrified 19-year-old, I discovered that Luke Shiloh had been due on October 1, 2009. 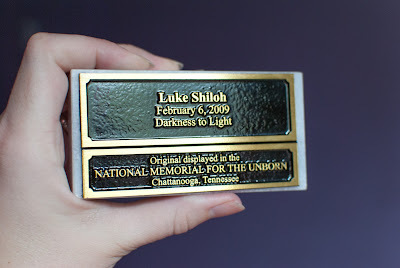 Now, this date will always remind me of him and what might have been. It is a somber day in my world. "Where it says aborted him, cross that out and write in killed him." "Cancer and a stroke would be a good thing for her..."
"I hope God NEVER forgives these people! They don't deserve forgiveness! They murdered an innocent life! "It's a shame that you weren't aborted." "I hope you cry bitter tears!!!" "YOU ARE HELL BOUND, MADAM!!!!!!" As I read these words, I felt a bitter sting on a pricked-open wound. Perhaps you think these words shouldn't hurt because these are people I don't even know, however, when they are saying things about the most vulnerable part of your life and the greatest regret of your past, it is difficult not to be affected. Not only that, but over the years, those who claim to be Christians are the ones who have cut me the most with their words. Comments like these come regularly to a post-abortive woman sharing her story. I usually don't write about it, but I felt the need to today. We have such power with the words we speak and write, power to build up or tear down. Do you realize that? Oh Christians, do we have compassion and mercy for the things we don't understand? The decisions others have made that we think we would never make, but yet we have no idea because we have never been in those circumstances. 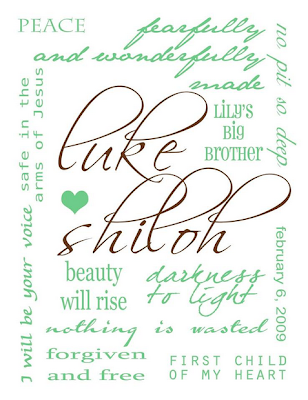 Luke has taught me to be merciful and loving to others. He has taught me to share the redemption of Christ. Do we not want post-abortive women to speak out and share their stories? Because when we treat them like there is no hope for them to be reconciled to God and that they are the scum of the Earth, we silence them. Are their voices of lifelong pain and regret not needed in the fight for the lives of the unborn and to seeing abortion end? I also share this because some have truthfully thought that I share my story to get "rich and famous." 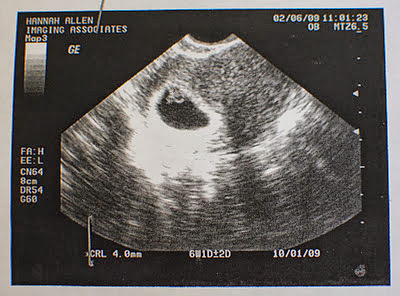 How people could think I want to be known for having had an abortion is beyond me. Maybe take a moment to read the comments above again. And rich?! I live with my parents! I know I don't need to defend myself in this, because it is nobody's business, but it is so absurd, so I feel the need to address it. Anyways, in years past, comments like those above used to cut much deeper. I had to step back because of being disillusioned by the pro-life movement/Christians in many different ways. I have learned to put my trust, fulfillment, and hope in Christ alone. And I have learned that people shouldn't be lumped together. Just because some have hurt me doesn't mean everyone will. One doesn't speak for or represent another. As I read those words last night, I felt like a piece of trash for a brief moment. Because the fact is, I was a murderer of my own baby. But it took just about a second before I turned to Jesus and felt Him wrapping me in His cocoon of mercy and love. I felt Him whispering His song of redemption over me. I felt the Father remind me that He sees Christ when He looks at me. And what the enemy meant to discourage, depress, and condemn me with, God used to bring me to my knees. God used to remind me of how desperately I need the blood of Jesus, and how utterly thankful I am to be covered in it. I love my Jesus and am so in awe of His great love for us all. That is what my abortion taught me. That is what those hateful words spewed forth taught me. That is what Luke taught me. My precious Luke, who is waiting for me. What a moment of reconciliation that will be when I meet him one day at the gates of Heaven. That is my God - who made a way for abortive mother and aborted child to be at peace and live together for Eternity in love. Post-abortive woman... I see you. He sees you. He hears every cry, every plead for mercy and forgiveness, and He extends it freely. You don't have to live under the cloud of depression and despair over your abortion! 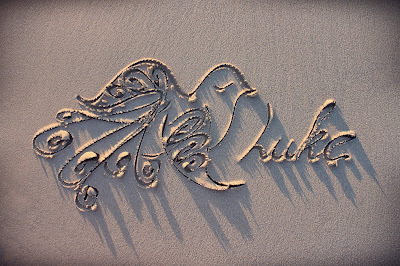 I always miss my Luke and regret what I did, but it is light! There is freedom. Only Christ can do that, and He wants to heal you. He wants to give you hope and a future (Jeremiah 29:11). Invite him in to the darkness and allow Him to bring light even there. I was listening to this worship song on repeat last night, after reading those comments. And it was exactly what my soul needed. "He leads me beside the still waters, and there He restoreth my soul." "You're the lifter of my head." 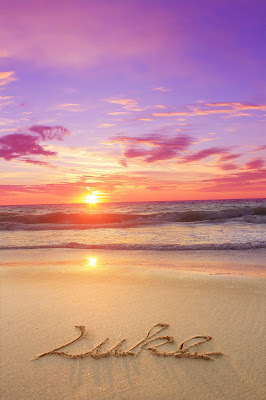 "Put a song in my heart and hope on the horizon." "O LORD, how many are my foes! and He answered me from His holy hill." He's the lifter of my head... I've been thinking of how beautiful that is. I picture my head bowed down in defeat and misery. And my Jesus comes to me, cups my chin in His hand, and lifts my head. He lifts my head to see His face. When I get weighed down by the cares of this world or feeling condemned or saddened by my abortion, losing Lily, not being married, or being hurt by others, He lifts my head. He casts off whatever it is that causes my head to droop. And when He lifts my head, He is right there waiting, reminding me to keep my gaze fixed on Him alone. He restores those places that feel hopeless and irreparable. A couple videos I watch each year on this date are Flipsyde's "Happy Birthday" and the short film "Aaron." 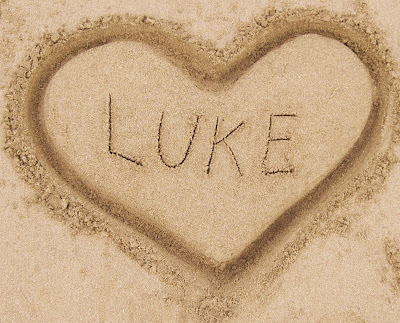 I love you, my little Lukey. It grieves my heart that people would say such things to you! You're right that they just don't understand, but still I"m so sorry that they would do that to you. The TRUTH is that you, Hannah Rose, are forgiven, washed clean and made new! I admire your courage to speak up and share such a vulnerable part of your life. Your gentle honestly will go much farther in encouraging people to choose life, then the condemnation that is so often thrown at them. Thank you for your honesty even when it's SO difficult! And besides, for someone to say that you shouldn't be forgiven in actuality denying the power of Christ's dying on the cross. It is saying that His death wasn't good enough. If God forgave those who killed Him, the one and only begotten Son of the God of the universe, how could he not forgive and totally wash you clean? People who say those things don't realize that they are denying the very One they claim to follow with such words. I pray that they will come to know the true depths of His forgiveness. May you stay strong in the truth and grace of the Lord! Amen! And yes, I completely agree that it's denying the power of the cross. I'm sorry people leave hurtful comments like that. :( That'd the down side of the pro life movement for me. People that make hateful comments like that completely forget about compassion, the Lord's mercy and forgiveness.